When you are in need of affordable Handcycle Wheels and Handcycle Tires, Sportaid's complete range of high performance handcycling accessories. 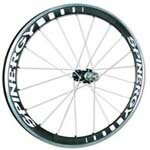 Our innovative and high quality products from trusted brands include Spinergy Handcycle Wheels, Vittoria Tubular Tires, Panaracer Clincher Handcycle Tires, Corima Absolute Brakes, and various others. Handcycle Wheels: - Looking for a new Handcycle Wheel Set for ultimate performance? Sportaid offers a huge collection of lightweight handcycle Wheels with attractive designs. Now choose from our inventory to enhance your endurance and performance. Just call if you have a question, we are here to help! 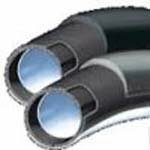 Handcycle Tires: - Sportaid carries a wide range of handcycle tires from top brands like Continental, and Tufo. Choose the right kind of handcycle tires by using our expertise to enhance your performance level. Feel free to call 1-800-743-7203 for help in picking one of these space saving pieces of equipment today. 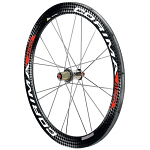 Savings up to 33% on Handcycle Wheels and Tires are currently available at Sportaid! Choose High Performance Handcycle Wheels and Top Quality Handcycle Tires from Sportaid.com! Browse through our selection of Handcycle Wheels and Handcycle Tires below or feel free to call 1-800-743-7203 for expert assistance. Be the best you can be by choosing Sportaid as your supplier for all your handcycling and racing needs. Whether you are a new customer or someone who has been with us for a while, we guarantee satisfaction. After over 25 years in the business helping people find Handcycle Wheels and Tires at the lowest prices, we continue to lead the industry! We carry a large selection of wheelchair cushions, wheelchair parts, and wheelchair accessories. We are capable of beating any competitor's advertised price, just call! Our customer service staff has over 50 years of experience, plus over 90 years of combined wheelchair use experience. We look forward to working with you!